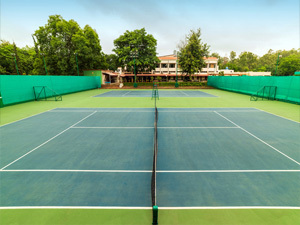 TENNIS COURTS: Arera Club has four synthetic surfaces, Floodlight Tennis Courts. 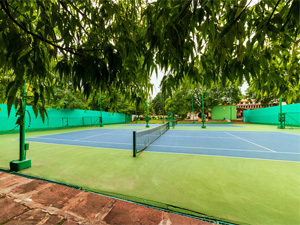 The entire tennis complex has been enclosed by 12' high chain-link fencing. And also a coach is there for beginner from Friday to Sunday, timing 4.00 pm to 6.00 pm. 6.00 a.m. to 10.00 a.m.
6.00 p.m. to 9.00 p.m.
4.00 p.m. to 6.00 p.m.
*Guest will be allowed six days in a month.